“I’m not afraid, but I am worried,” Hassan Abdullahi said while distributing voting papers at a polling station in a disadvantaged Stockholm suburb, as the far-right was set to win record support in Swedish elections Sunday. 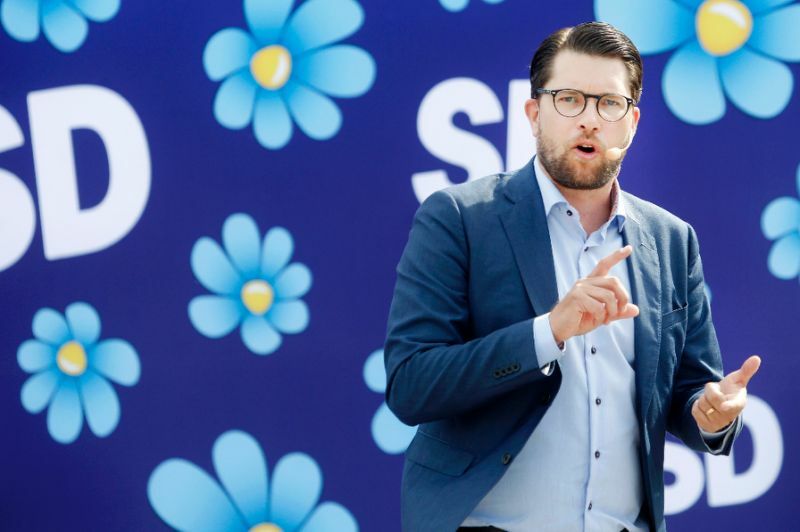 “Their roots are Nazi and we know what Nazism has done in Europe,” Abdullahi, a member of the ex-Communist Left party, told AFP as he handed out ballots to families arriving at the polling station in a school in the mostly-immigrant populated Rinkeby. More than 80 percent of Rinkeby’s population is of immigrant origin. He says he “no longer trusts the Social Democrats” who have been in power for four years. Incumbent Prime Minister Stefan Lofven‘s Social Democrats won nearly 70 percent of the neighborhood’s vote in the 2014 election, but only 50 percent of voters bothered to vote. Mohamed Issak, a transport worker in his fifties, lamented the fact that many people in the neighborhood do not vote. “It probably depends on their origin… if we do not have the opportunity to vote in our native countries, then we do not necessarily think about voting here”, he said. “They never had their voices heard and are very suspicious of institutions,” she told AFP. Babou Ngie, 45, believes the residents have now begun to mobilize themselves. In Rinkeby’s main square in front of the metro entrance, people go about their daily business, buying fruit and vegetables.